Bespoke journey through India’s aesthetic heartland for travellers with an appreciation for design, crafts and culture. Insider access to leading designers , secret handcraft hubs, medieval monuments and royal jewellers. Curated experiences around India’s aesthetic hotspots. Meet artisans steeped in ancient traditions. Visit cutting edge design studios. 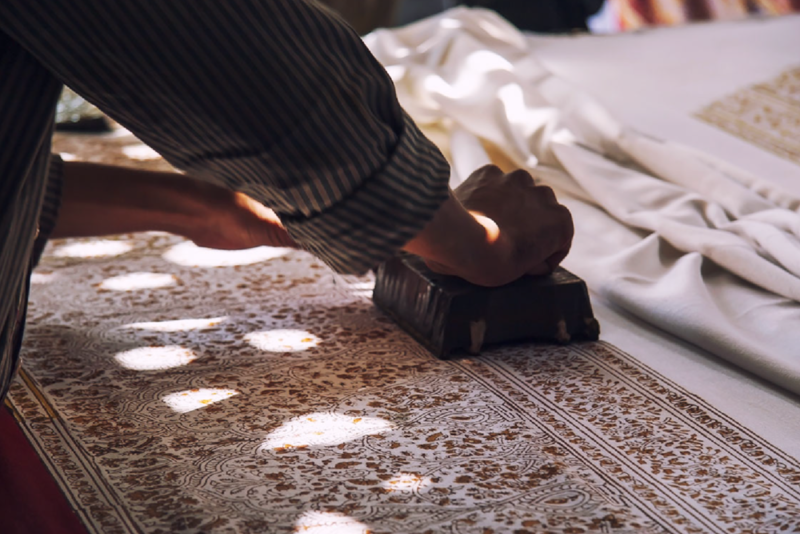 A designer guided visit to one of India’s last villages practicing the craft of hand block printing. 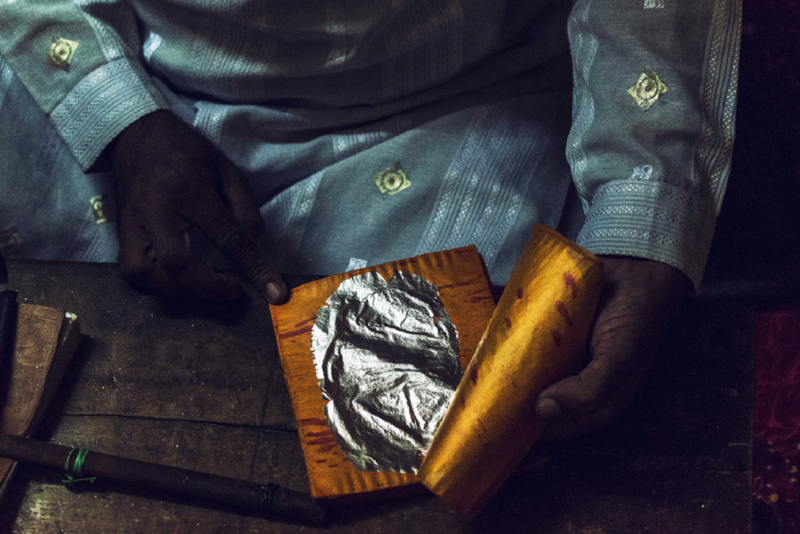 Artisanal families practicing age old traditions like making of vark ~ edible gold and silver foil. Ateliers catering to royalty and Hollywood stars. Meet leading designers who introduce contemporary design interventions, along with up-cycling and zero-waste philosophies into ancient handcraft traditions. Architecture, monuments, colours, sounds, and robust local cuisine are a sensory feast, and a delight for anyone with an eye for beauty and experiences. Be welcomed into homes of artisanal families practicing age old traditions such as vark, the making of edible gold and silver. Admire, touch and try on incredible handcrafted jewellery at family run ateliers catering to royalty and Hollywood stars. Walk through bustling streets and snaking alleyways, bursting with life and colour. India by Hand Connoisseur guides you through India’s traditional artisan centres and contemporary design hubs. It presents a unique view, looking equally at the past and the future. Contemporary design in the monument-dotted ancient capital city. Meet Indian designers at the forefront of sustainable crafts revival, infusing ancient traditions with design interventions and responsible practices. The Connoisseur experience goes beyond the cliché to show how, in Indian design, the traditional and the modern not only coexist, but feed into and enrich each other. A guided excursion to the ethereal Taj Mahal, accompanied by an expert, qualified to take you through the finer, minute details that cover the edifice. An elephant safari through a giant fortress. A unique jewellery museum displaying centuries of royal heritage. Far flung artisan villages practising India’s lost handcraft. Personalised shopping experiences and more. Browse rare, vintage textiles in hidden warehouses. Explore bustling art-strewn alleyways. Take a guided tour of stunning local architecture. Our hospitality partners are world class and have decades of experience in hosting global travellers. Groups are accompanied by an experienced tour services director to cater to every need or contingency. All travel is via private fleets, run by verified operators. India By Hand Connoisseur tours can be designed specifically around your interests.